From Wiki: "The British Grand Prix has been won by eleven British drivers: Stirling Moss, Peter Collins, Jim Clark, Jackie Stewart, James Hunt, John Watson, Nigel Mansell, Damon Hill, Johnny Herbert, David Coulthard, and Lewis Hamilton." 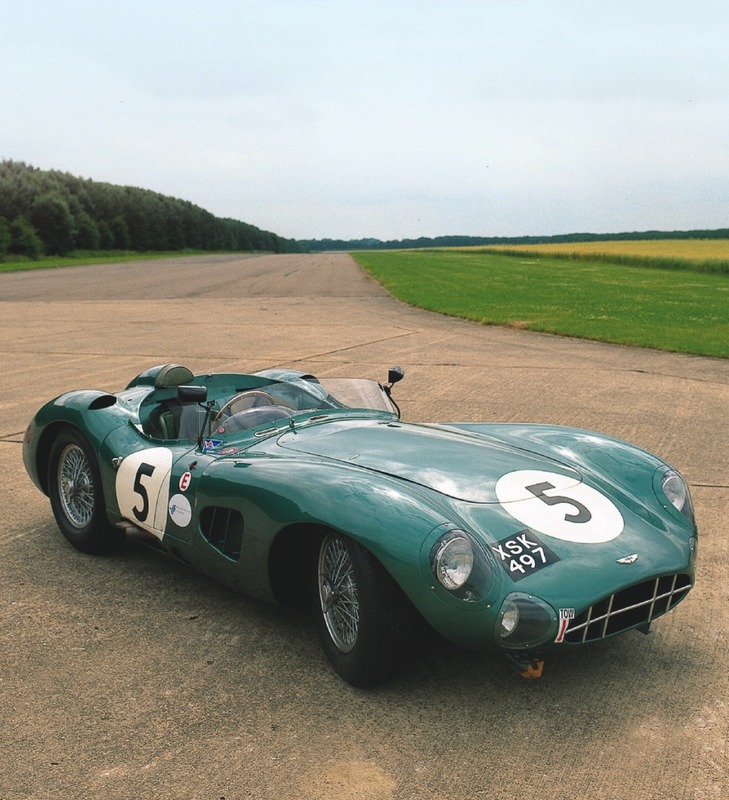 After some more googling: Aston Martin DBR1, Le Mans 1959 Winner, drivers Roy Salvadori and Carroll Shelby. Yes, that Shelby--builder of the Shelby (AC) Cobra and consultant on the Shelby Mustang.